The value of pipe #358 is 41 points. My old friend, Al Grosskopf, contacted me and said, "I have another of those pipes you like in briar. Do you want it?" I said I did and, after the requisite haggling, we agreed on a price and he sent me this one. 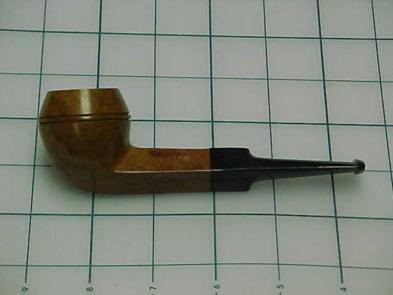 As always, Al had reconditioned the pipe beautifully, but I already have a nice exemplar of briar bulldog. Since this one has a replacement stem, I have kept it on my Pipes for Trade page while I smoke it from time to time. Eventually it was traded to Rick Osborn in a massive swap-o-rama that left us both better off.